These are decent speakers for their price, but one issue I often see mentioned is that these speakers have overpowered bass. 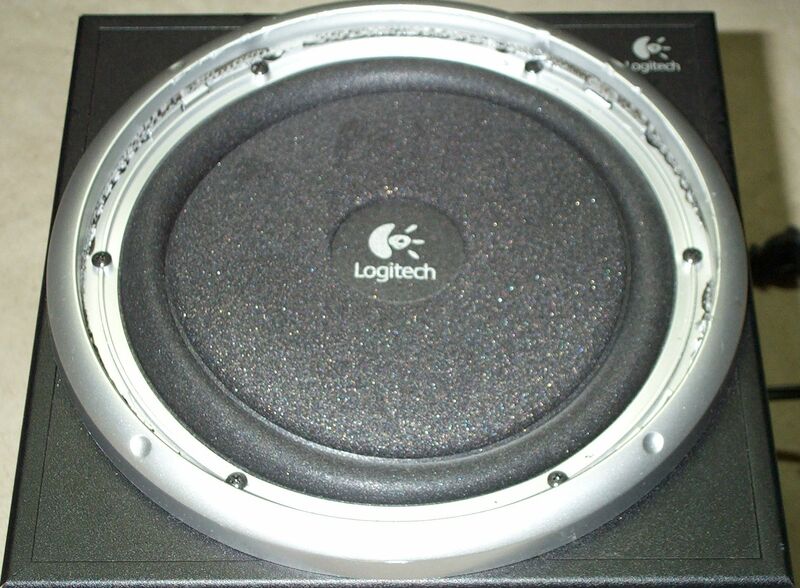 Even with the subwoofer volume knob turned all the way down, the bass is still strong. 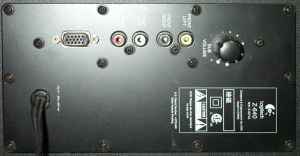 The software equalizer with most soundcards is not even enough. If your soundcard lacks some sort of bandpass filter, such as the nForce2's "LFE Crossover" checkbox, then you're stuck with the boomy bass. But there is a simple, brute force method of dealing with this problem: a switch, wired in line with the subwoofer's speaker. And if you want it to look neat, you've got to do a little bit of work. Perfection never comes easily. There's what there is to work with. The 10 screws around the perimeter are the only ones that need to come out. 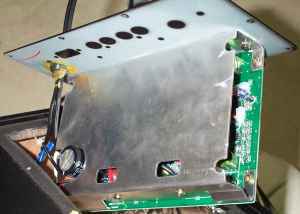 The rest just secure the various connectors to the backplate. Unfortunately, the circuit board only comes out part way before being held back by various wires. 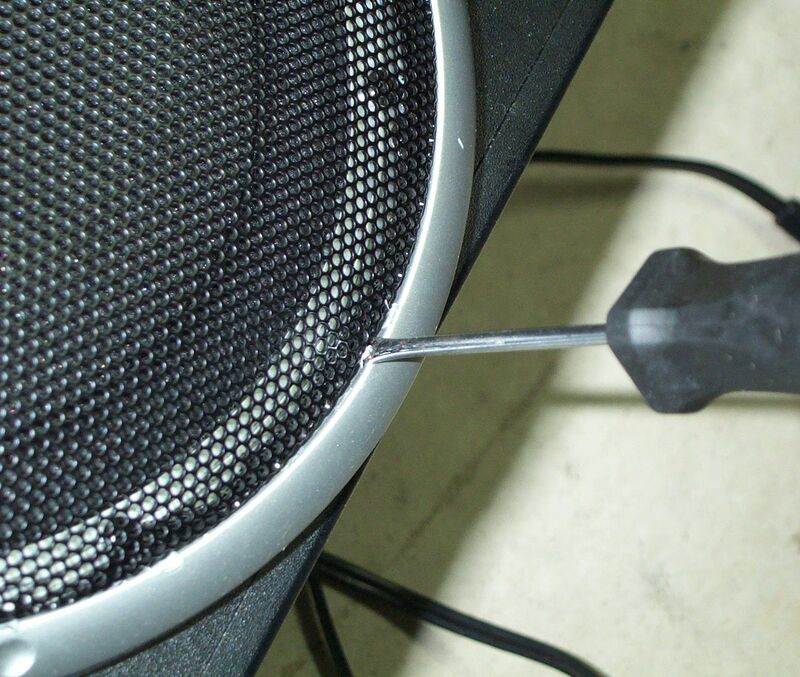 As it turned out, they were held in place by some glue on the other end of the speaker. You may note that there are screws underneath the wire mesh grille. 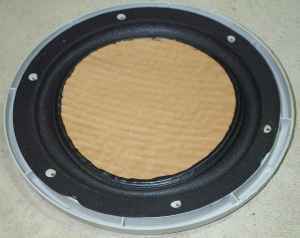 They hold the silvery plastic rim onto the rest of the subwoofer. 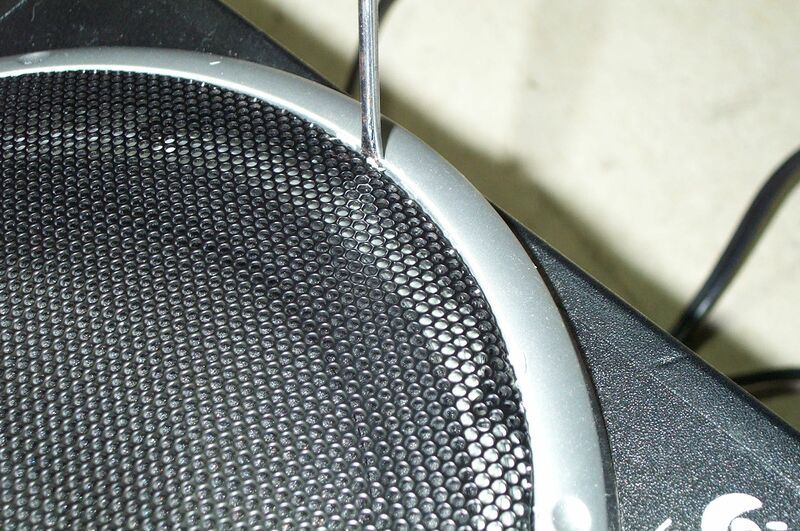 The only problem there is that Logitech glued the grille in place with something similar to rubber cement. 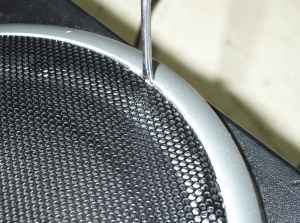 So removing the mesh required prying along the entire perimeter to break the glue. This also did wind up bending the mesh out of shape in a few places. It's not like that really matters, as the bent parts will slide right back into the plastic rim after the modding is complete, and the subwoofer is likely to spend its life under a desk, out of view. 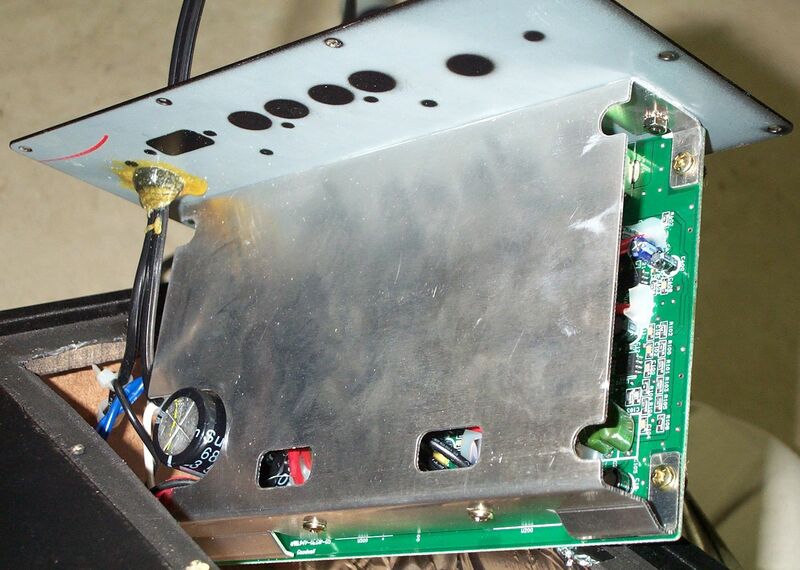 The mesh is gone, and the screws are visible. 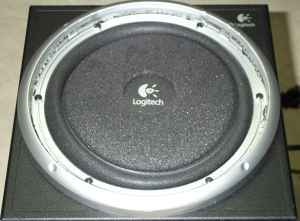 Looks like a darn big speaker, doesn't it? Oops, guess not. That's all it is, a foam panel with some cardboard on the back. 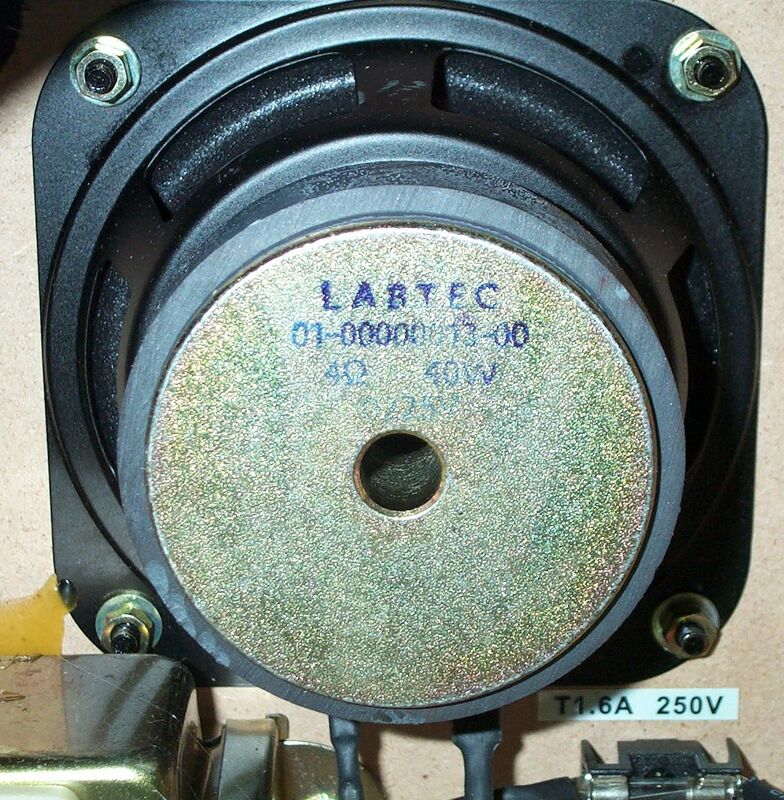 There it is, the speaker, Labtec 40W, 4Ω. This is the inside of the casing. Visible is the supply transformer, the driver, a fuse, and all of the glue that's holding the wires in place. The glue must be removed to allow the circuit board on the other side to move freely. Here's a better view of what's going on inside. 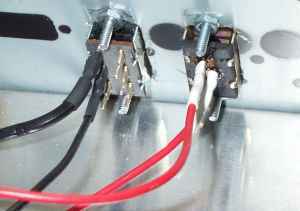 The glue surrounding the two bundles of wires directly below the fuse is what needs to be ripped away. It has the consistency of hot glue, but is fairly strong. I ripped it away piece by piece with a needle-nose pliers. 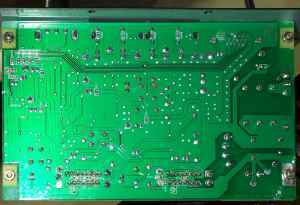 With the glue gone from the wires, the circuit board can move more freely. 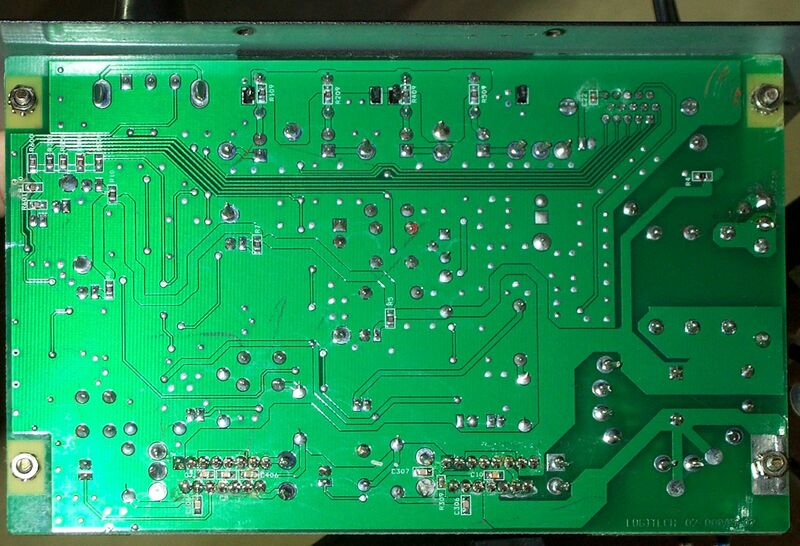 And a view of the back of the circuitboard. For the switches themselves, I used some slider switches I had laying around in my various collections of parts. I say "switches" because I also planned to add in an on/off switch. The Z-640's draw 6 watts, even when turned off. Sure it's small, but it's still a waste, and the fix was pretty simple. Installation was made possible with a trusty Dremel and reinforced cutting wheel. The steel panel is surprisingly thick, so it takes the cutting wheel awhile to finally get through. I sliced and sanded out two roughly rectangular slots for the switches, and drilled holes to mount them. Wiring the switches required splicing longer wires onto the existing ones, as they were too short to reach to the switches and then back to the circuit board. I used 18AWG wire salvaged from an old power supply. My usual splice technique involves putting some heat shrink tubing over each wire, soldering them together, and then insulating and securing the joint by sliding the tubing back down over the splice and heating it. Be sure to let the splice cool down before sliding the tubing over it, or else it'll start to shrink before it's in place. My quick-and-dirty heating method is with a small butane torch. This must be done carefully though, because if you get too close with the torch, the heat shrink will melt and split open. Then you may have no choice but to heat the joint, get the wires apart, put fresh tubing back over the wires, and resolder. 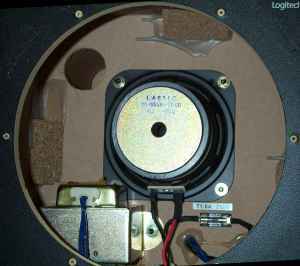 The circuitry of the wiring was to simply open and close one of the wires of the speaker, in this case, I selected the red wire. For the power switch, I switched the hot connector, which I *hope* is the right one to use for such applications. I figured that cutting the neutral wire would still leave a charged hot wire running into the circuit, which seemed unwise, even though it had nowhere to go. 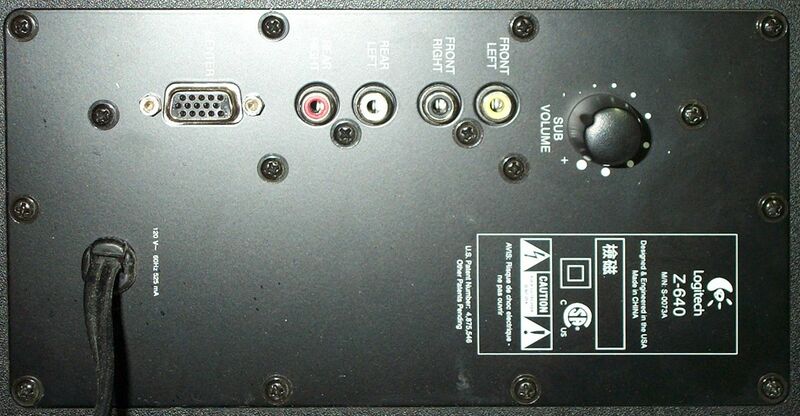 The only exception would be if there was a wiring fault, which could leave the metal backplate charged. Should a grounded person touch this plate, they would provide a path for the electricity to flow, generally referred to as "electrocution," which is also generally referred to as being a bad thing. For those wondering how to differentiate between hot and neutral on a polarized, properly wired outlet, note that the vertical slots are of two different sizes, a long one on the left, and a short one on the right. The short one on the right is hot. This is the back of the newly installed switches, complete with nuts and machine screws, and soldered, heat-shrunk connections. Finally, here it is, the back panel in its completed (though not yet screwed in) form. Note the numerous gashes in the panel, covered in gloriously beautiful black courtesy of a Sharpie®. As I mentioned earlier, it's not like this thing is going to be anywhere easily visible. There you have it, a mod to completely tame the bass of the Logitech Z-640's subwoofer. So if you need to turn it off so as to avoid annoying neighbors or family members, this'll do the trick. Then if everyone else is gone and you feel the need for some strong bass, just flip the switch, and the bass shall surge forth normally.